Mayor Robert Garcia today will hold the first meeting of the Long Beach Animal Care Vision Task Force. Members include animal advocates, volunteers, rescuers and residents who simply love animals and want the best possible outcomes for them. The task force was formed in response to phase one of the Office of the City Auditor’s Animal Care Services Review and to the demands of residents of the city who are devoted to animal welfare. The review identified nearly 200 recommendations for short-term and long-term improvements as well as best practices for the shelter at Long Beach Animal Care Services. Staffing, medical care and feeding, spay and neuter, live-release rates, funding and fostering were covered extensively, as was forming community partnerships. The task force is the most significant development to come from the audit. It’s dedicated to address the issues specified in both phase one and phase two, which was released to the public on Aug. 27. Long Beach Animal Care Services, according to the review, ranks sixth out of nine municipal shelters in live animal release (to include rescues, adoptions and owner return). The review acknowledged the limitations of the benchmark comparison. Demographics and population differ, and there is wide variation among the shelters with regard to services, staffing and management approaches. “Shelters could service animal and human populations with different needs; enforce different, city-specific animal related laws; incur different shelter maintenance costs; and perform tasks that other shelters do not, such as answering citizen calls for service in-house, rather than outsourcing that duty to another department,” the review reads. ACS ranks below average; factors such as demographics and procedures may affect the ranking. Graphic courtesy of the Office of the City Auditor. The study was far from a disparagement. 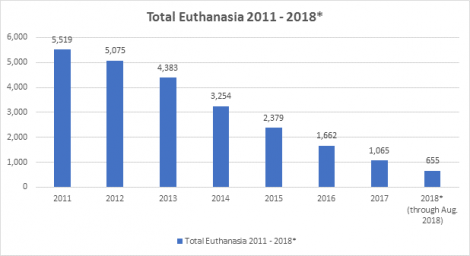 The review took into account the “noteworthy strides” that ACS has made in lowering euthanasia rate and in increasing live release. Phase Two further developed and identified a total of 186 needs, summing them up as a three-prong program: implementing standard operating procedures, developing a shared vision and strategic plan to set priorities, and reviewing resources and maximizing revenue to implement them. Conspicuous in the report was an estimated $1 million in uncollected fines and citations. The shelter was also noted to be understaffed and operating above its limitations; it’s a conundrum to consider that the staff required to collect these fines might be funded by the fines themselves. Task force members expect to address such issues as expediting adoption, strengthening the volunteer program and developing a process that will more quickly identify and move pets to rescues. 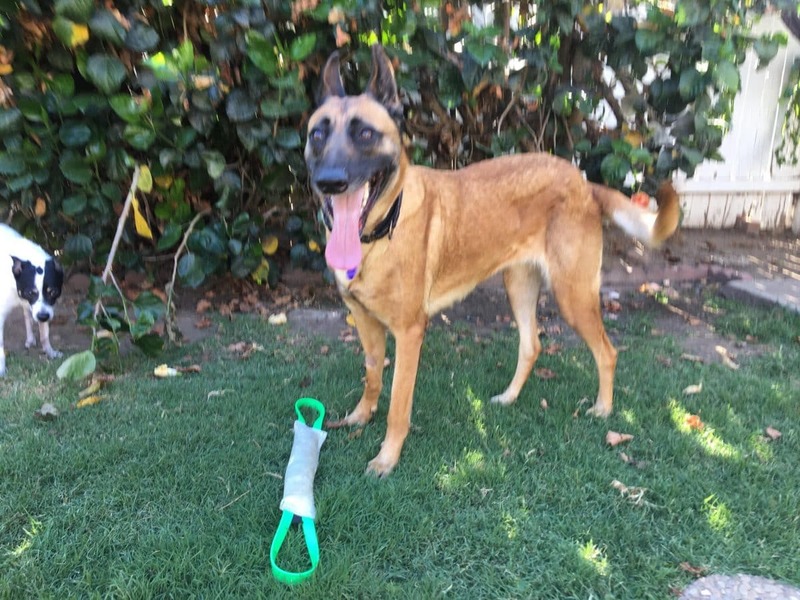 Continuing to reduce the intake and euthanasia rates at the shelter, increasing partnerships with outside rescues, and managing adoption rates are critical goals for task force member Diana Kliché. Kliché is president of Fix Long Beach, an all-volunteer organization that offers free spay/neuter procedures and low-cost vaccinations to residents who couldn’t otherwise afford them. 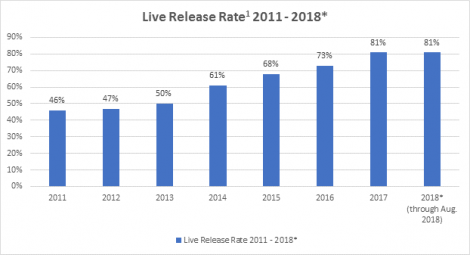 Euthanasia and live-release rates have been going in the right direction since 2011, in part thanks to efforts by Fix Long Beach which relies on ACS for voucher support, and by Friends of Long Beach Animals and its voucher program. On Aug. 29, the city released a statement that included graphics showing the progress up to August of this year. 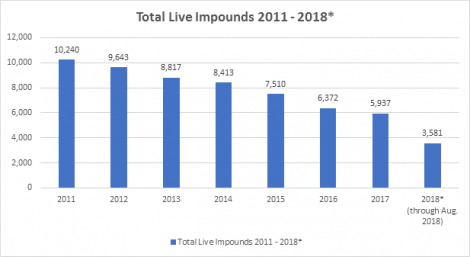 Live-release and euthanasia rates have steadily gone in the right direction since 2011, thanks to joint efforts by the shelter and the community. Graphics courtesy of ACS. Rescue release, however, needs to occur with more consistency and rapidity while at the same time working out the best placement for the pet, said one rescuer, particularly those with medical issues. Stevens said that ACS has networked animals in the stray hold period and that needed surgery; rescues that were willing to provide the treatment when the vet team was overburdened. “The sooner we can find out about an animal, the more time we have to network and develop a plan for getting that animal to safety,” said Helen Sanders CatPAWS volunteer Deborah Felin. There have certainly been improvements and developments at the shelter: the recent hires of a full-time adoption coordinator and a community information specialist along with construction of a dog play area and specialized volunteer training for the play area. An enhanced foster program is already underway with the support of Friends of Long Beach Animals, Long Beach’s longest-standing animal-welfare volunteer organizations and a location for a newborn-kitten nursery is presently under negotiation. The latter is a collaborative project of The Little Lion Foundation, Helen Sanders CatPAWS and ACS. The review’s results and later developments at ACS may have passed each other like ships in the night—City Auditor Laura Doud acknowledged this and looks at the improvements as bellwethers of things to come. Councilwoman Stacy Mungo obtained one-time funds to hire a consultant to work with ACS, the mayor’s task force and others to help map out a vision for the shelter. This promises to be a challenge, but even with a diversity of opinion and experience, task force members are all there for one reason. More information about the task force meetings will be posted on ACS’s home page as it becomes available.